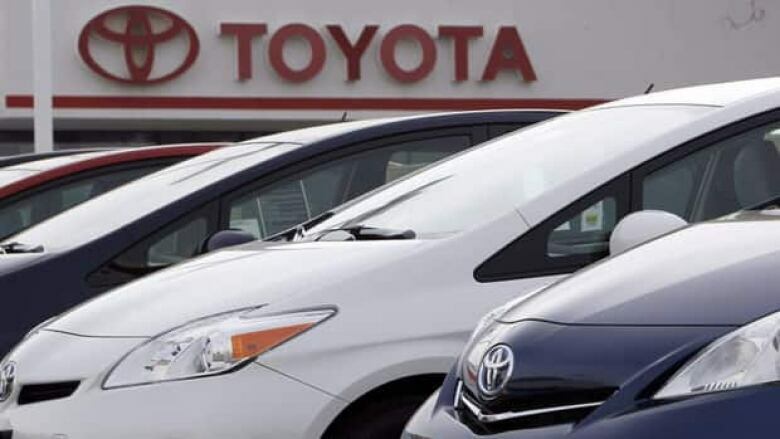 Toyota Motor Corp. is recalling 2.77 million vehicles around the world, including almost 15,000 in Canada, for a water pump problem and a steering shaft defect that may result in faulty steering, the latest in a spate of quality woes for Japan's top automaker. Toyota Motor Corp. is recalling 2.77 million vehicles around the world, including almost 15,000 in Canada, for a water pump problem and a steering shaft defect that may result in faulty steering — the latest in a spate of quality woes for Japan's top automaker. No accidents have been reported related to these two problems announced Wednesday, according to Toyota. Some 1.51 million vehicles are being recalled for the steering defect in Japan and 1.25 million vehicles abroad . Affected models include the Prius hybrid, Corolla, Wish and other models produced from 2000 to 2011 in Japan, and from 2000 to 2009 overseas. Of those vehicles, some 620,000 spanning five hybrid models, including the Prius, have a defective water pump in addition to the steering shaft defect. Those vehicles were produced from 2001 to 2010 in Japan, and from 2003 to 2011 overseas. Another 10,000 vehicles with only a pump problem are also being recalled. According to Toyota Canada, 14,816 Prius vehicles are being recalled here. The latest recalls — affecting Toyota's prized Prius hybrid, a symbol of its technological prowess — come on top of a recall last month for 7.43 million vehicles for a faulty power-window switch that could cause fires. Before that, Toyota had a reputation for pristine quality, centred on its super-lean production methods that empowered workers to hone in on quality control. Toyota executives have acknowledged the escalating recalls were partly caused by the company's overly ambitious growth goals. Executives had shrugged off last month's recalls as coming from products made before stricter quality controls kicked in following the soul-searching that came after the recall scandal in the U.S. But the latest recall underlines how quality problems continue to dog Toyota, especially as it has gone back to pursuing aggressive growth. Toyota is now headed to record vehicle sales around the world, offsetting a sales plunge in China with booming demand in emerging markets such as Indonesia, India and Thailand.